2016 – onwards: guest Lecturer & thesis supervisor at the FHR Institute for higher education, Paramaribo, Surinam. 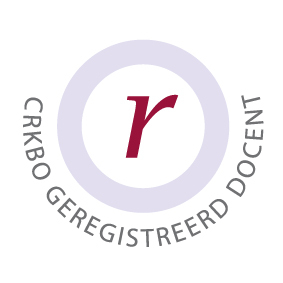 2015 – onwards: Lecturer at the department of sociology, Tilburg University. 2015 – 2018: Supervisor bachelor theses at The Hague University of Applied Sciences. 2011 – 2017: Assistant professor at the department of criminology, Erasmus University Rotterdam. 2004 – 2015: Assistant professor at the department of Sociology, Erasmus University Rotterdam. 1997-2000: Junior and senior researcher at the project “Community Medation” (1996 – 1999), and at the project “Drugrunners” (1999 – 2000), Department of Law, Erasmus University Rotterdam. 1993-1997: PhD. Student at the Department of Law, Erasmus University Rotterdam. PhD. Thesis: “Social Problems and Modern Society. A Treatise in the Sociology of Culture”. Promotor: prof.dr A.C. Zijderveld, copromotor: dr .M.C. de Witte. Degree received at October 8th, 1998. 1992: Vaucresson/Paris, France. Intensive Course “Institutional and Cultural Change in Europe”, February 22 – 29. 1988-1992: Masters degree in sociology at the Department of Social Sciences, Erasmus Unversity Rotterdam. Master thesis: “Welfare State and Rationality. A Sociological Treatise on the Unintended Consequences of Formal Rationality”. Degree received at September 18th, 1992. 1991: University of Maryland College Park (UMCP), U.S.A., Department of Sociology. Courses: Development in European and American sociological theory, Special social problems, and Books in sociological theory. 1992 – onwards: Member of ‘Nederlandse Sociologische Vereniging’(NSV) (The Dutch Sociological Assotiation).